In November 2016, an outbreak of hepatitis A began to wreak havoc on San Diego, continuing to affect hundreds in the city to this day. Since the disease is transmitted through human feces and thus unsanitary conditions, it has struck the city’s homeless population with a heavy hand. 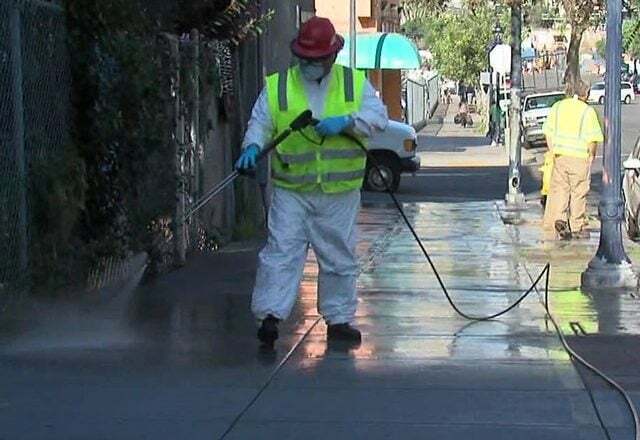 The outbreak has slowly dwindled in its number of new cases as San Diego County has begun dousing its streets with biweekly bleach washes. Yet, the street bleaching has done little to provide a solution for the problems that led to the initial spread of this disease. San Diego’s negligence toward several of the city’s major issues assisted the outbreak in spreading to over 546 people, as the county consistently failed to address its shortage of public restrooms, a lack of immunizations, and unaffordable housing. As officials have continued to veer around addressing these issues and their relation to the city’s homeless population, they have left homeless people and the general public at risk of further disease outbreaks. In the past year, the homeless population has increased 27 percent among those who live on the streets of downtown. A shortage of public restrooms, a lack of immunizations, and increasing costs of rent have all contributed to not only an increase in homelessness, but also to a county-wide health crisis. The lack of public restrooms allowed the disease to spread quickly among the vulnerable homeless population. And although there have been around 250 mass vaccination events for hepatitis A since the outbreak began, the city has had difficulty in concentrating these efforts on the homeless population. While these mild efforts attempt to improve the city’s situation, rising costs of rent continue to put people on the streets — 77 percent of homeless people have stated that they became homeless only once they began living in San Diego. While we would expect the county to respond to this crisis by constructing new public restrooms in areas with a high number of homeless individuals, it has done nearly the opposite. Since 2000, the city has been warned that human waste on the streets is becoming a growing health concern. In 2005, officials rejected a recommendation to build more public restrooms because the construction would cost nearly $250,000 per restroom and the city did not have “the resources to execute a project of this magnitude.” Yet in 2014, officials accepted a proposal to build a $2 million artistic public restroom downtown — that’s right — $2 million dollars. With the funds that went toward this restroom, several public restrooms could have been built which could have reduced the severity and speed of the hepatitis A outbreak. Although the county has done little to aid its homeless population in recent years, the hepatitis A outbreak did push officials to implement a few new aid programs. Some of the new programs involve subsidizing apartments and developing counseling services for individuals at risk of becoming unsheltered. However, the increasing costs of rent, low vacancy rates, and shortage of local and federal funding have made the implementation of some of these programs slow and difficult. The Housing and Urban Development federal funding program has also consistently denied larger shares of funding to San Diego for combatting homelessness, despite the city ranking as the third-highest homeless population among U.S. cities. The current determinant for HUD funding favors cities with older housing and slowly growing populations rather than cities with large homeless populations. Officials, evidently, have placed little urgency on approaching the homeless situation and the subsequent health concerns that affect not only the homeless, but also the rest of San Diego. And although the county has set up several Porta Potties and hand-washing stations throughout the region, none of these solutions involve long-term changes. San Diego needs to begin considering several alternative options for further aiding and reducing its homeless population, many of which other states have already begun to adopt. For instance, Utah’s Housing First program reduced chronic homelessness by 91 percent from 2005 to 2015. This program’s philosophy revolves around the fact that it is cheaper for the government to house the homeless population rather than waiting for the funding to aid them in emergency services or simply for them to go to jail, which typically involves annual costs of $30,000 to $50,000 per individual. Los Angeles has also developed a program called Housing for Health, which funds the development of permanent housing and support services for the city’s homeless population. This program reduces the city’s costs of aiding unsheltered people while also improving their health and lowering the risk of disease outbreaks. All of these programs have greatly benefited the homeless population while also protecting the public from future outbreaks. Although San Diego has slowly come around to recognizing the severity of its homeless situation and the health problems that quickly follow suit, the city has a long way to come. In order to protect not only unsheltered people but also the general public, officials need to begin prioritizing the development of new, permanent programs, such as those created by Utah and Los Angeles. By addressing these issues now rather than later, the city can prevent the outbreak of future diseases and protect their people as a whole. Adventures of the Corgi Man and His Furry Friends: the True Mascots of UCSD?